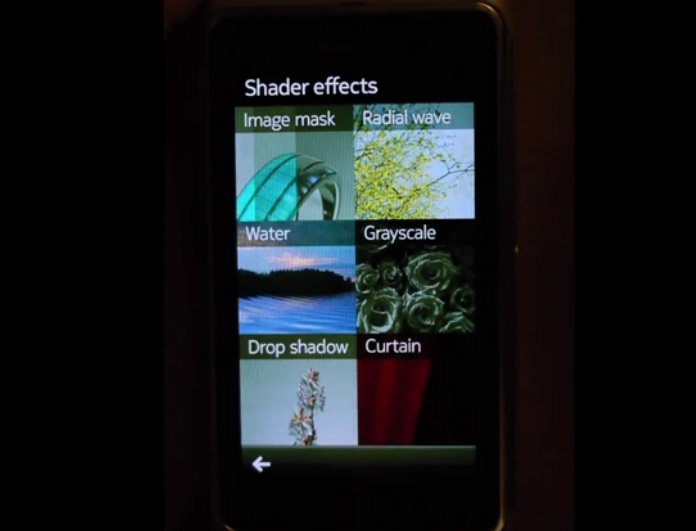 Jim tips us a video of a “nice QML Shader Effects demoed on Nokia N8. Stuff that will work great on QML 2”. Not bad, some cool looking effects there. QML2 on top of the QML Scene Graph provides an awesome API for combining GL/GLES shader code with QML. The API consists of two new QML elements: ShaderEffectItem and ShaderEffectSource. With this API, it’s easy to create effects and animations that could not be done by using the standard elements of QML 1. This also naturally allows the effects to do their heavy lifting on the GPU and thus improves the performance and enables tricks that would not perform well without hardware acceleration. The ShaderEffectItem implementation does not fundamentally depend on the QML Scene Graph and we have implemented a QML extension plugin that provides a similar API already for QGraphicsView based Qt Quick 1.x. 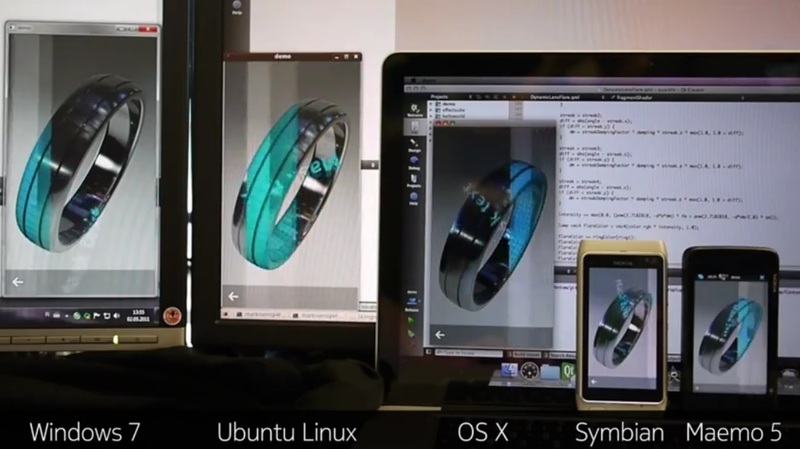 The video below shows a Qt Quick 1.0 application running on N8, demonstrating some effects using the shaders plugin. It also demonstrates the same application running on five different platforms: Symbian^3, Maemo 5, Mac OS X, Windows 7, and Ubuntu. « BlackBerry to use Nokia’s NAVTEQ Powered Bing Maps – ‘Ovi Maps’ on BlackBerry?